Good shots-making technique alone is not enough to keep constant winning record in men’s tour. It should be accompanied by great fitness, rude health, strong mentality and a lot of star power. Not all but just a few of players are given all these gifts. In this article we want to enlist those who couldn’t conquer the summit but where near that. The so called “unsung heroes” of the men’s tour. Dotennis team want to give our credit to them. We can’t say for sure why these guys has failed to achieve big heights this season. They have it all: perfect service play, athletism, strong personality and recognizable playing styles. So what is missed? We suppose that it’s all about working ethics and discipline. The both look very relaxed. 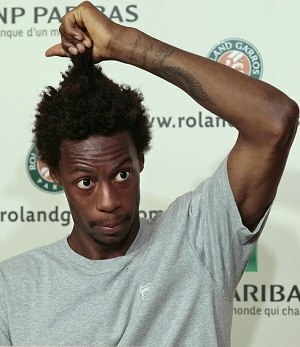 Can you imagine Monfils practicing all day long like a slave? Hardly. The same can be attributed to Tsonga. These jolly and cheerful French guys are always smiling in a friendly way: be it on court or in a conference room. But what about self-discipline? We may be mistaken, but it seems to us that the two spill less blood on their trainings than any of the Big Four. We’ll say it again. God granted it a lot to Monfils and Tsonga. But after numerous attempts to break into the tennis elite and to take at least one Grand Slam they gave it up. And now they feel comfortable playing subordinate roles on the men’s tour. All they should do now is to get ready for the home Roland Garros and to win money on major tournaments. To our mind, this is the most unlucky player on men’s tour. He was unable and would hardly ever fulfill his talent and potential. We admit that Simon is one of our favorites. The French boasting no extra physical abilities was one of few who outplayed the top players and even Roger Federer in his earlier ages. There is something in him which commands our respect. His virile character. 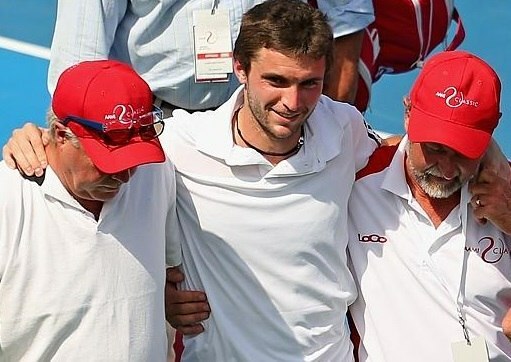 While many tennis laymen consider Gilles to be rude, bad-tempered and misanthropic in real life, his fighting mood and offensive instincts are never dead on court. Simon is used to fight to the very end, to the final rally. Seemingly, he has it all to become a champion: judging by the utterances from his environment, he is very ethical, hard-working, has good vision of the game, possesses strong personality and can easily withstand the pressure. So all champion’s components are here. But why no big victories yet? Injuries. In fact, over the last 2-3 tennis seasons Simon has only been a shadow of his former self. To be more precise, it’s all about his shoulder trauma which doesn’t let him to serve well. So he can hardly stay competitive in modern tennis, where almost everyone is a big athlete with fast and consistent serve at about 125 mph. But even bandaged and stitched Simon finds ways to keep up to his level. And of course, when a player forgets how to play fit and health, we can barely expect and further progress from him. Well, be Simon healthy he would be serving much better and we’d see him in top 8 or even in top 6. But it’s tennis, guys. Harsh and merciless. The German shared the same fate as the French. To be on tennis top you’ve to be fully fit. If once you miss a couple of months or a whole season, that’s it. You’ll need another season to get back to your starting point. 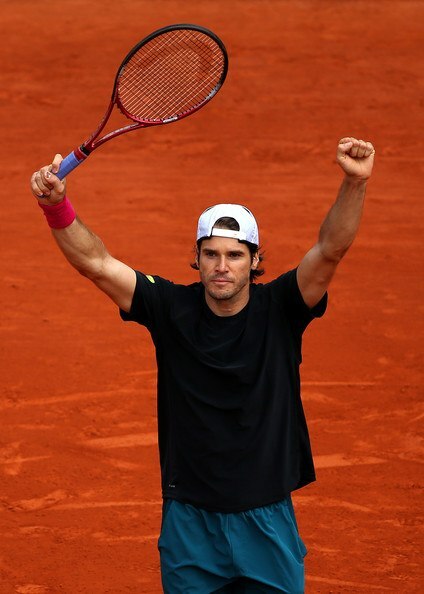 And it will require so much time and efforts…The professional career of Tommy Haas reminds us a recurrent performance. In its first act Tommy reaches his peak to achieve something worthy. And then final chord and intermission. Injury. It is followed by a long recovery, recapturing the solid tennis again and again, getting back on peak and then…another injury. It pains us to see his sufferings. Like Simon, he has all prerequisites to become a champion: leader’s qualities, consistent and well-balanced play. But now a recurring shoulder problem may force Tommy to retire from tennis at all. Anyway, it’s very tiring and boring to play the same act over and over again. Want to increase your bankroll by 20%? The Spanish natural-born competitor David Ferrer evidently has bad fortune. If he were born 8-9 years earlier, he would have become a tennis legend, Rafa Nadal of his generation. Ferrer can be the most hard-working player ever. His playing technique is also perfect. He rightly deserves to get a Grand Slam title as a gift just for his attempts. But…Nadal and Djokovic are of the opposite opinion. David Ferrer can be compared to Leonardo DiCaprio with his predictable Oscar heartbreaks. Leo is one of the world’s most acclaimed actors who yet has to win the Statuette. Of course, David should hope for the better. He still has some time to take what he deserves. Unfortunately, there are not too many tennis years ahead of him. 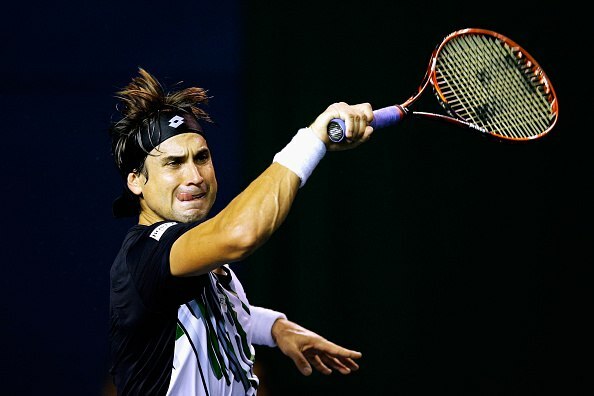 So it’s more likely that try as he would, David Ferrer will always be Spain’s No. 2 with a full bunch of unrecognized wins and merits and remain in the shadow of his honored compatriot Rafael Nadal. Oddman, I recall pelpoe saying how the rest of the guys in the ATP had no balls when Roger was winning everything, I guess either the same could be true now or it could be that Roger and Rafa were that good. Take your pick. On clay there is no doubt that Nadal is unbeatable. He either has to have an off day (like last year's Rome match with JCF) or someone comes out on fire and just goes for broke (but then we have seen that right). The fellow is just too good on this surface and frankly speaking when you are in a competitive sport and you have no competitors, then what is the use?